This collection features resources for celebrating the 500th anniversary of the Reformation and beyond. The composer, Steven J. Rhode, states: “The Wittenberg Psalter is a collection of unison psalm settings for congregation, choir, and/or soloist.” He recognizes that—due to perceived difficulty—they “may not be appropriate for every congregation” and provides various options for usage. Be sure to read “About the Wittenberg Psalter,” provided by the composer. The CW: Supplement songs below are available for free download. The entire CW: Supplement CD is available at Northwestern Publishing House. The 2014 worship conference highlights CD, By Faith, is now available. The recordings from Carthage College include commissioned works, children’s choir, and selections from various services, choirs, and recitals. Several selections make use of full orchestra featuring some of the finest professional WELS instrumentalists. The CD may be purchased through Northwestern Publishing House. Samples of several tracks are included below. A number of selections that are not on the CD are available for free download below. Jesus, My Joy, a CD of highlights from the 2011 worship conference, is available through Northwestern Publishing House. The music on this double CD was performed at the National Conference on Worship, Music and the Arts, held July 2011. The recordings from Gustavus Adolphus and Martin Luther College include commissioned works, children’s choir, and selections from various services, choirs, and recitals. Several selections make use of full orchestra featuring some of the finest professional WELS instrumentalists. The worship at this conference concentrated on Holy Week and the Easter season and also included a Festival Concert and Hymn Festival. Samples of CD tracks are available below. Full recordings of selections that are not on the CD are also included for free download. The Reformation Psalter is a series of four-part choral arrangements of the psalms in Christian Worship. These arrangements were created by Steven J. Rhode, formerly of Reformation Lutheran Church in San Diego, California. 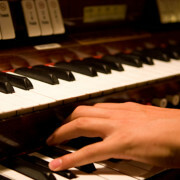 Articles and resources for church organists and pianists. This arrangement by Kent Reeder was featured at the 2011 national worship conference. Kent has given permission to share the files for this version: piano, guitar, and more. Selected hymns and liturgy arranged for guitar. 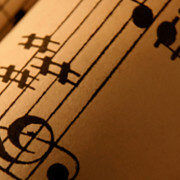 Information and articles for choir directors.